This amazing mascara curl your lashes perfectly. This product also has a light texture and is perfect for those who have sensitive eyes. The packaging comes in a purple and circular tube. 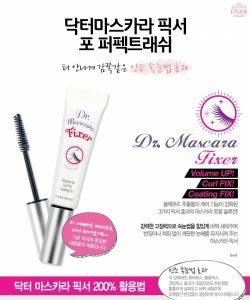 The finishing result of this mascara is quite dry compared to other mascaras, and it is easier to dry and reduce the risk of smudging around the eyes area. Even so, this mascara will not make your eyelashes look fake or rough. The shape of it also makes it easier to apply because it follows the shape of your eye. 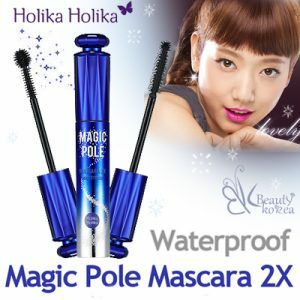 If you are looking for waterproof mascara with long lasting result, this product is the answer. 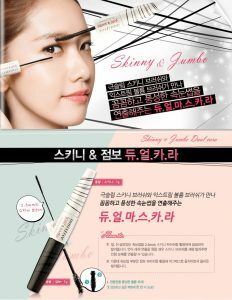 Innisfree Skinny Microcara is 2.5 mm in size. With this size, this mascara will be applied throughout your eyelashes even able to cover the shortest eyelashes. This product has fiber and light powder to help thick lashes longer. The color that it gives is black. Another advantage of this product is its detail to wipe short eyelashes. The brush does not clot and because of the shorter brush, the lashes do not stick together. This Innisfree microcara separates every eyelash perfectly. 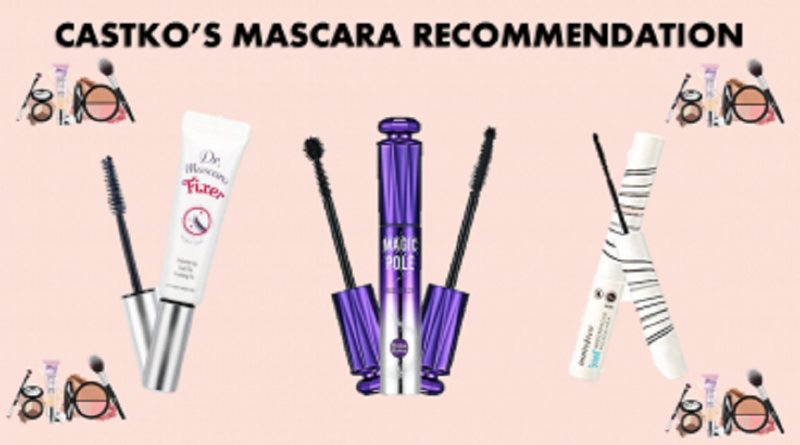 This cute packaging mascara offers a complete product. This product thickens, lengthens and curls the lashes well. Its texture is a clean, transparent white gel that dries very quickly. Although it is not waterproof, because the texture is clear, you will not see stains or faded marks. This product is suitable for you who have straight and down eyelashes. This product can also be used as a primer. When using it as a primer, your eyelashes will become thick and curved naturally.